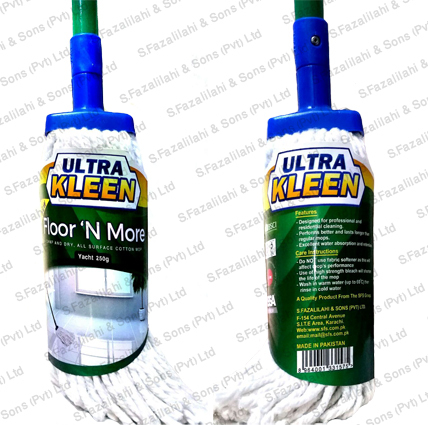 Ultra Kleen is a new addition to the SFS range of products. This product differentiate our quality from the products available in the market . We now provide customers in the regional market a great value for their money. Unlike the competition, we maintain the same export standards that are required in the conscious markets of the world. We as a brand aspire to develop our image and quality over time, also with our diverse mop range we can provide different options depending on the needs of the end users. Currently we are supplying to some of the top names of the domestic retail market, to there satisfaction.